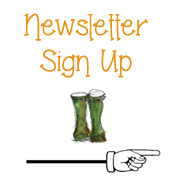 June – An Exciting Month For TRG’s ! The garden is providing plenty and the nursery continues to generate a lot of interest, but it was a particularly special month for us for two reasons. Tania had a very important birthday, one of those milestone events that happen about every 50 years 😉 and we also had our 29th wedding anniversary which we celebrated with the most wonderful garden party with friends and family. We’ve actually been together for over 30 years which is almost a lifetime I guess, but it’s been a very special time and we’re both great advocates of the institute of marriage. The garden and nursery were a hit and we had some really nice comments so thank you to everyone that came and made it such a special day. We are both hugely grateful. That’s the thing about growing plants and this lifestyle we’ve adopted in particular. It helps remove the stress of every day existence, makes you smile more and at the same time gives you an enormous feeling of self worth. Sounds a bit ‘trippy’ I know but it’s difficult to explain other than life is much easier now and we’ve learnt to appreciate a simpler less stressful existence. As well as taking care of the celebrations we’ve also been hard at work in and around the garden. The nursery continues to grow and we have high hopes for our little venture in the future. The new outbuilding is really starting to come together with the roof now on and pleased to say is now water tight! Such a relief as one of the roof windows was leaking slightly which actually was down to a tiny hole in the roofing felt can you believe! Originally we were building the structure for a work shop and potting shed, but we’ve decided to offer weekend courses later in the year and to do that we need to have a few more ‘amenities’. We’ve started cladding the outside and first fix electrics are in. Still much to do but John is taking a few days off work at the end of the month to finish so should be complete by mid August. We’ll post an update and some pics on the blog and Tania’s Pinterest channel. We’ll also be posting details of the courses later in the year. Anyone that has kept chickens will understand what it means to have these wonderful characters wandering around place. They give so much pleasure as well as providing us with the most wonderfully fresh eggs for breakfast, but I guess the temptation was too great for Mr Fox and the little bugger tunnelled under the door and took every last one! I can only think he must have made several visits in the one night unless he had an accomplice? Either way no sign of any chickens the next day other than a few feathers in their run. Cheeky so and so took the eggs as well can you believe. We always used to shut the chickens away in their shelter at night, but recently we’ve been leaving them out in their pen as the nights have been so warm. We have a large dog so we really didn’t think the fox would have the nerve, but how wrong we were. Advice for anyone thinking of keeping chickens. Build a fox proof run, or install an electric fence around the premier, or make time to shut them away at night. It was a very sad day and I have to say it’s not been the same around here since they were taken. On a slightly happier note it’s July and the first of the summer raspberries are fruiting. Two things I look forward to most at this time of the year. Walking through the garden at the end of a busy day and seeing the gorgeous red colour of the first raspberries contrasting with the rich green leaves and plucking the fruit from the bush leaving that little cream cone in the centre. The taste is sublime and there really is nothing quite like it. 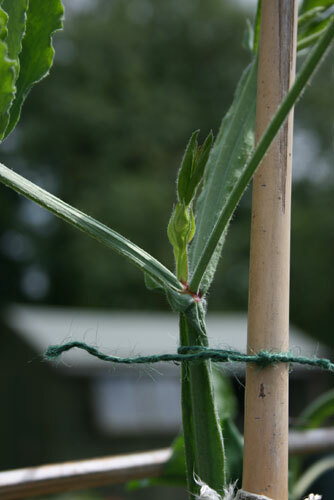 The second event we look forward to is the emergence of the first of the sweet peas. You live without that distinctive perfume for almost a whole year and now you get to experience it all over again. Truly intoxicating! 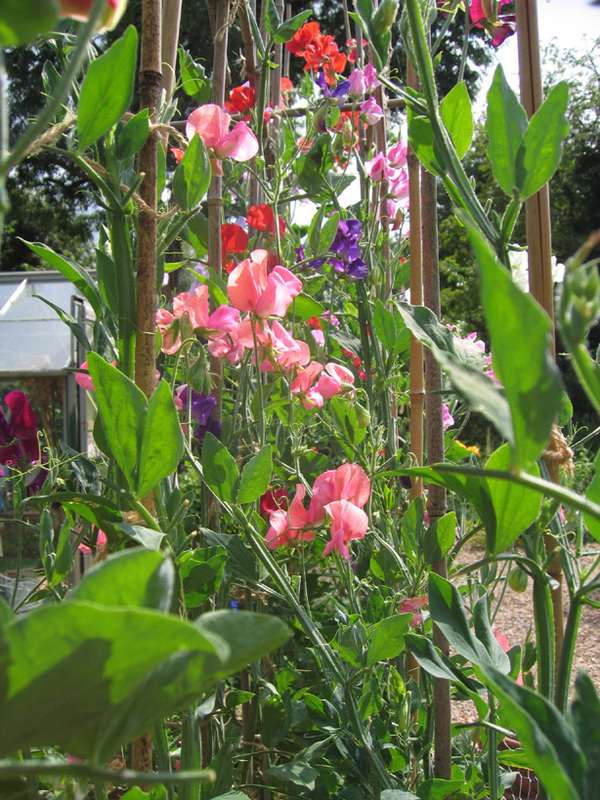 If you’ve never grown your own sweet peas then do have a go as it really is one of life’s pleasures. No need for expensive air fresheners, simply cut a bunch of fresh sweet peas and fill a vase full of cold fresh water. Plunge the sweet peas in as deep as possible and enjoy as they don’t last very long once cut. Put a vase in the kitchen and the next morning when you sit down to breakfast you’ll have the most gorgeous scent filling the room to accompany your coffee and croissants. I don’t think it can get much better than that can it ? We’ll be back soon but that’s it for June. If there any aspects of gardening that you’d like us to cover in the future please do let us know, in the first instance at ruralgardeners@gmail.com. It really does feel like Spring is in the air this last weekend. The weather on Sunday was gorgeous and the sunshine was just enough to dry the ground out enough to get into the garden. We had a really productive weekend which was a mix of manual labour and a slightly gentler activity sowing the first of this seasons Sweet Pea seeds. First priority was to move the compost heaps as we’re constructing a new potting shed and area in the Spring to support the new nursery venture. As you can see from the pics below the new heap is a pretty basic construction made from four posts sunk into the ground about 2.5 meters apart. The sides are made from a few odds and ends of timber we had stashed around the plot. I think I made my heap too small last time as it never really got that hot, but this time round I’ve made it twice as big and eventually close in the front and add lots of straw into the mix. Should warm things up nicely! I’m going for a slightly different approach this year with my sweet peas as I’m going to try selling a few bunches on the produce table at the end of the lane. Might also branch out to a view of the local florists if I can grow enough flowers. Something tells me we’re going to need to find a bit more space though. 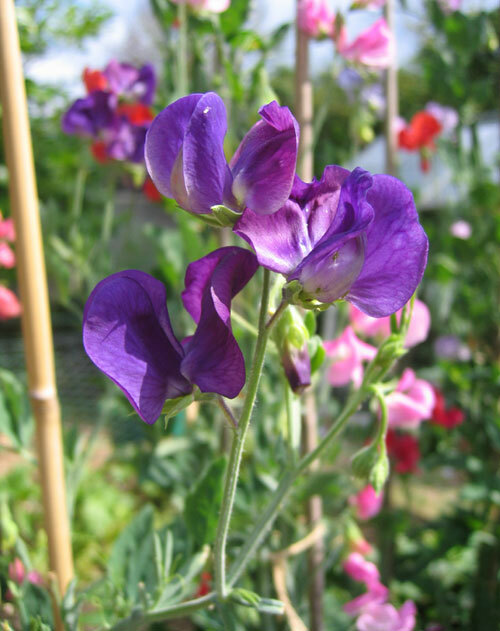 Brian, one of our avid readers asked what varieties we think make good cut sweet peas? Well I’ve been growing them for a few years now and despite trying various varieties I always come back to the following as they never let me down. This year I’m also trialling a new variety called Purple Pimpernel which I think could be a winner! I plant 6-8 seeds on top of the compost in a four inch pot and push the seed in about 1/2 an inch below the surface. I give the pot a good watering and then leave on the windowsill or in the polytunnel. If you want to speed up the germination add a plastic bag over the top of the pot. I’m not a lover of plastic and try and keep away from the stuff. The seeds should be through in about 6-8 days when they may need some additional support until they can go out into the ground when all fear of frost has past. We’re bulking out with a couple of new Peony plants, variety is ‘Celebration’ along with a couple of new globe thistles, variety ‘Echinops Nitro’ and Delphinium ‘Pacific Giant Mixed’. I’ll also sow a few Cosmos and Night Scented Stock later in the year which should produce a wonderful spectacle of cut flowers. I thought about starting my dahlias off but I think it’s too early as the night time temperature in the Polytunnel can drop quite considerably. I think I’ll wait until early March when the temperature has climbed a tad and we have a few more daylight hours. Sunday evening came around so soon and so ended another busy weekend in the garden. I’m confident I have a good grasp of the propagation side of the business and have been sharing my experiences through the blog and on our YouTube channel. This year I’m looking to up my game and see how best to use the space I have available. I’ve already started to collect some ideas together and have to say I’m getting very excited about the whole idea. It’s our major project for this year and it won’t be long before the growing season kicks off in earnest, so I need to kick things along a bit if I’m to make the most of the Spring season! I’ve put together a rough plan to share and would welcome your comments as I’m really not very good at this kind of thing. You’ll see from the plan I’ve included a newly built covered area which will double up as a potting shed, as well as a general store. It will also offer shelter from the April showers and provide a nice space for pottering about or maybe running a couple of courses in the summer. Also I need to make sure there is an electric point for a kettle. After all you can’t garden without a steady supply of tea! John is planning to install solar power with mains back up for days when the sun stays away. I’ll be interested to see exactly how much power we’ll be able to generate. We’ve split the plot into different areas or spaces, each serving a specific function. Over time I’m hoping the plants will spill out onto the paths and soften the edges creating a more natural feel to the space which is the general effect we’re after. A. The Cut Flower Garden. Approximately 40ft long by 8ft wide dedicated to growing a range of gorgeous English cut flowers. I’ve always been a lover of cut flowers and this year I’m planning on growing more than ever. I might even try and sell a few bunches at the village shop. This will be for showing off the plants and will be arranged in such a way that customers can wander freely and really get a feel for the range of plants we sell. I guess what I’m looking for is an environment where visitors feel comfortable and leave thinking they can’t wait to come back again. C. Workshop & Potting Shed. I’m going to create a dedicated propagation area. It’s easier to manage and I won’t end up with cuttings here there and everywhere. I tend to get better results if the cutting boxes are positioned in a shady spot, which is why we chose this particular part of the garden. There is a Victoria plum tree immediately adjacent to the propagation area which casts dappled shade in the summer months which will help to keep the cuttings from drying out. Should be perfect. If you’d like to know more about growing your own plants from cuttings there’s lots of advice on the internet. If you’d like know how we got started head on over to the Rural Gardeners You Tube channel where you’ll find a series of short videos John recorded last summer explaining about how easy it is to get started propagating your own plants from cuttings. Really important to have good rainwater collection, especially if you’re on a water meter. Every penny helps as they say. I plan to have a series of barrels on a plinth with taps about half way up the barrel. Saves bending down so much. Well, as soon as the weather improves in March we’ll get started but can’t do too much until all this rain passes and the ground starts to dry out, or we’ll simply make a terrible mess everywhere. Be sure to check in on our You Tube channel as we plan to share our experiences with everyone. Also feel fr)ee to drop your email details here and well keep you right up to date. I promise you’ll not miss a second of the action! Thanks for reading and as always any questions fire them over and we’ll endeavor to answer them. First we’d like to wish everyone a very happy new year! It feels like it’s going to be a great year and I dream of when the days start to stretch out and Spring delivers those first rays of warm sunshine.We received literally hundreds of emails in 2013 from those of you that want to learn more about how we manage our little patch of the Hampshire countryside and for that we are most grateful. It makes it all worthwhile! It seems there are a lot of you out there that also want to ease the pressure on their family life and find a more sustainable lifestyle … for a whole bunch of reasons. Well, my goal in 2014 is to help you achieve that change in lifestyle by sharing as much our knowledge and experience as we can through the pages of the blog. It’s usually about this time I post plans for the new year and I must say we’re both really excited about the projects we have planned in 2014. My son Tom (electrician) is starting his own electrical services business this year, which is a brave move in these challenging times. We wish him well with his new enterprise. I do like to Plan! Not sure about you but I like to put some thoughts together on paper right about this time. Apart from making me more organised the results give me something to look forward too and something other than the ironing to focus on during these short days and long nights. Everyone plans in different ways. I like my plans to be rich and visual, as well as informative. I include a few pictures alongside each project to remind me of what all the effort is about. I find pictures also help me to focus, to be motivated on the outcome. More Ebooks planned for 2014! After the success of our first Ebook “An Introduction To Frugal Gardening’ I thought it might be nice to share some more stuff so will be releasing an update to Frugal Gardening along with a new idea centred around reducing spend and increasing income. It’s as a result of a couple of things we experienced earlier this year which led to an unexpected windfall. I’ve already started typing up the first draft so should be ready to share fairly soon. We have access to our plot at Blackbirds via a delightful country lane which we’ve been planning to do something with pretty much since we arrived. Although we constructed a fence and gate soon after we moved in we always wanted to make more of it. Original plan was to build a barn, come food store, come office, come weekend hideaway … But it never really came together due to other commitments. John and I have agreed it’s key to our plans and really needs to happen the year, so looks like it’s going to really happen this time. We plan to start in early April and will be a timber building and entirely self build. If you’re interested in timber frame building we will be posting progress reports on the blog, so if you I recommend subscribing to the blog and subscribing to the RG You Tube Channel. 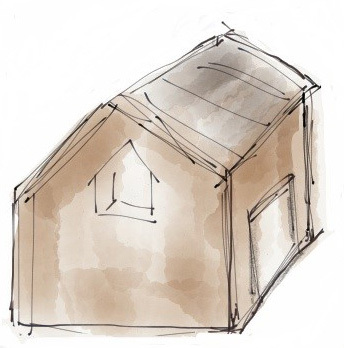 Whilst we’re on the subject of timber buildings … when we blogged details of our home built workshop and wood store we received several emails requesting dimensional plans. As with many of our projects the design and construction is in John’s head … but he’s promised to draft something and post some measured drawings early in the new year. Our modest little plant nursery continues to grow and we will be posting progress updates throughout the year. Phase 1 was all about learning and getting the plant production side of the venture up and running. Phase two is going to be all about creating a professional looking space and generally getting more organised on the selling side. We’ll post progress updates throughout they year and will definitely be posting more videos on the You Tube channel. If you’ve ever wondered how to build your own raised beds or perhaps you are new to vegetable gardening and stumbled across our little blog, then there is some good news! 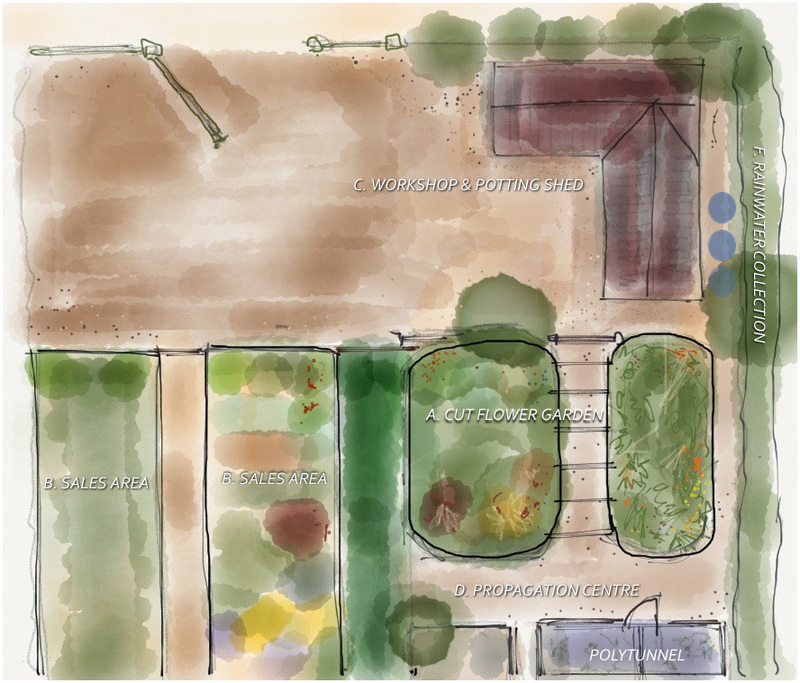 One of the projects we have planned is a brand new salad garden. It will be located outside the kitchen which will be really convenient for the BBQ season. John will be in charge of construction and I will be selecting the varieties and growing some gorgeous produce. 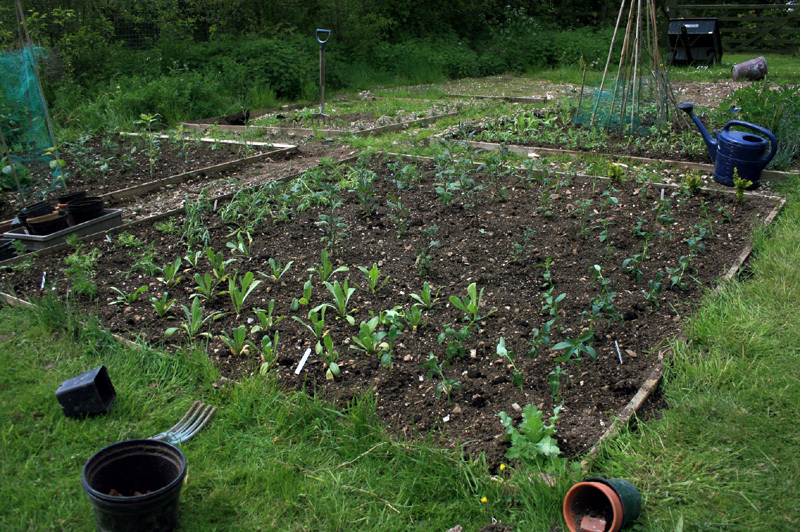 We plan to grow all manner of salad veg from the good old standards through to some of the more exotic varieties. I can’t wait to get started! I wanted to canvas opinion on an idea we’ve been discussing for this year. Gauging the reaction we’ve had from our readers we’re thinking of offering a couple of weekend courses over the summer. We’re thinking practical courses in gardening, basic timber frame construction, plant propagation, that kind of thing. General idea is to share our experiences and pass on the skills and knowledge we’ve acquired along the way. I know when we started on our lifestyle change I could have done with a little help and guidance along the way. What do you think? … Would it be something anyone would be interested in? The weather is gorgeous down here pretty much from late May through to the end of August. Should be fun! Well that’s a brief taster of what’s to come this year and I’m sure you’ll agree there is much to get excited about. 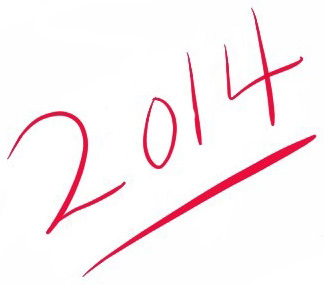 We’d love to know what you have planned for 2014. I’m in the process of creating my first cut flower garden which I’d like to share so anyone thinking of doing the same can follow along. So far I’ve been growing all sorts of Summer Annuals, Lupins and Delphiniums from seed and taking cuttings of Chrysanthemums and Dahlias. In case you missed the first 2 parts the links are below. Over the weekend I’ve been busy planting up the beds and it’s actually starting to look more like a cut flower garden every day. The area I’m using was mostly weeds and rubbish and not really being used for much, so I thought I’d try and turn it into something rather more pleasing on the eye, and at the same time create some scent at the bottom of the garden. As this is my first attempt I don’t have any particular planting plan in min, but I do know I’d like it to look as natural as possible, and produce as many blooms as possible in the space I have available. 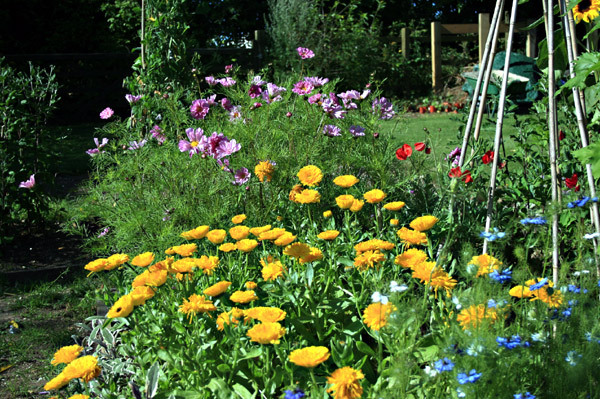 I’m thinking sweeping drifts of colour, nothing to uniform, growing in small compact little beds. This way I can get close to the flowers from all 4 sides and get even closer to all that gorgeous scent! But before I can enjoy any of that there’s some hard work ahead. 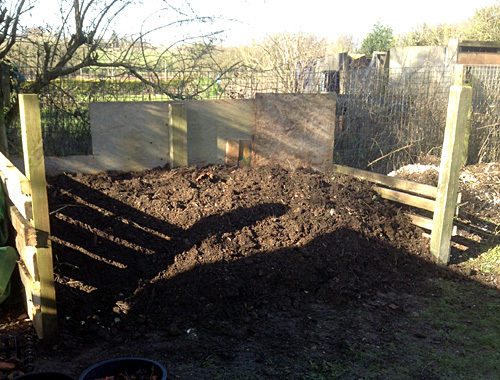 A couple of weeks ago I prepared 6 beds approximately 3m x 3m and dug in plenty of well rotted compost. The clever little worms have now done their stuff and worked all that compost into the soil, so now it’s time for the fun bit! Each bed will have a mixture of annuals grown from seed in the polytunnel and an array of standard cottage garden favorites. I’m using Chrysanthemums, Dahlias and Lupins as the framework plants along with mixed varieties of Sweet Peas to create some height. For those who are regular readers of my posts you’ll know where possible I like to use hazel poles in my garden. They make great supports and give the garden a really natural organic feel. We garden on chalky soil in Hampshire which means we have to work in lot and lots of organic material, at the same time trying not to dig too deep so as not to turn up too stones and flints that his area is famous for. I think we must have shifted at least a ton of flint and stones since we started the garden 3 years ago. All of which we’ve tried to recycle around the plot, either as post ballast or foundations for the many paths in the garden. Spring is the perfect time of the year to take Dahlia and Chrysanthemum cuttings so if you’re also thinking of using them in your garden I have a few tips which should help improve your chances of success. I’ve been taking a succession of cuttings since late March and they’ve grown into great little plants, and apart from a little compost they were free! Success with cuttings can be a but hit or miss, but you can increase your chances of success significantly if you’re able to provide a few basic requirements. I’ve created several posts on how to easily take cuttings, so if you’re never tried before I’d say they are definitely worth a read. Commercial growers provide a fine spray of water at least 15-20 times a day onto the plants and manage to achieve almost 100% success. Of course we can’t afford such a system and we’re not operating at that scale. You can buy modest little kits that do the same thing, but with a little effort and for a small investment you can make your own, and it costs a lot less than shop bought. Rather than go into the details of a misting system now I’ll put together another post on how to be successful with softwood cuttings along with a set of plans for making your own misting system. I plan to make my own and if that goes ok we’ll produce a short video for the RG YouTube channel. Last autumn when the dahlias finished flowering I dug them up and stored them in boxes overwintered in the polytunnel, with a little soil covering the tubers (roots) over winter. Pleased to say they survived and in April I tried my hand at taking a few cuttings. I managed to get a few to root, but all round a pretty poor show to be honest. Despite the lack of success with my dahlia cuttings I still have the original plants that I’m pleased to say have put on loads of healthy new growth. Dahlias grow to quite a size and do need staking. They also need lots of water throughout the season so I’ve prepared the planting holes with plenty of organic matter to help retain the moisture. I’ve also thrown in some wet straw for good measure. It will rot down eventually which will help with improving the quality of our soil. Slugs and snails like to eat your lovely green dahlia leaves, so you will need to guard against them. We’re lucky to have the chickens to keep our slug population under control, but the only snag is the chickens are also partial to dahlia leaves! So we have no option but to net them or they will eat the lot in one sitting. I have to net my dahlias or the chickens will eat them in one sitting! Dahlias grow into fairly large plants and have a tendency to block the light out from everything else around them. To avoid any problems later I’m growing the dahlias in a single plot on their own. I have fond memories of growing dahlias as I used to enter the dahlia category at my local summer village show with my dad when I was in my early teens. As well as the main stars of the show I’m filling in with annuals like Nigella (Love In A Mist), Cosmos, Calendula, and Brompton Stock. These are all what are typically called traditional cottage garden flowers, and they should provide plenty of cut flower material throughout the season and are really easy to sow and grow from seeds. The seedlings I pricked out a few weeks ago have now grown into decent little plants so I planted them out over the weekend. The plants look a little sparse now but I’ve planted them with plenty of space so they have room to grow. In just a few weeks we should have quite a show, all being well. They will need to be kept watered over the next couple of weeks as the roots are fairly close to the surface and tend to dry out. I’m planning on adding a few rose bushes into the mix, along with a few Delphiniums and Verbena, but they will have to wait until I have a few more penny’s. This is the second part in my series on creating your own cut flower garden. About 3 weeks ago I sowed the first of the seeds for the new cut flower garden and some of them are now ready for pricking out. Of course some of the seeds grew faster than the others, but all in all they’ve done pretty well in such a short time. 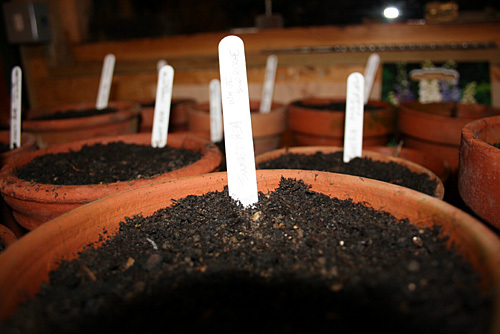 If you’ve never tried it before have a go at growing a few flower seeds. I start mine off on the window sill in pots. When they’ve come through I move them into the polytunnel and cover them with fleece if there is any sign of frost. 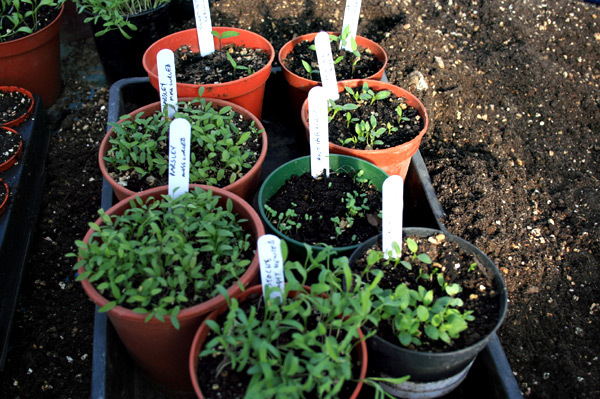 ‘Potting On’ or Pricking out as it sometimes called is basically taking a seedling and planting it into a slightly larger pot or container so it can grow into a healthy plant ready for the garden. It’s a fairly laborious job but I find it quite therapeutic to be honest. I dissapear to the polytunnel and put on my wind up radio and away I go. I plant my seeds in basic John Innes seed compost, with a good helping of vermiculite to stop the mix from getting too wet. The secret is to get the seeds to germinate before they get a chance to rot. Once the seeds are through I try to keep my compost on the dry side. 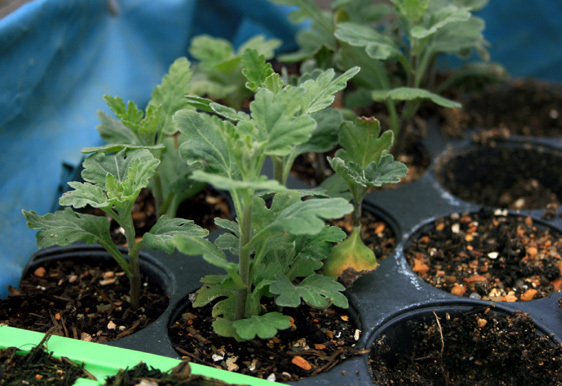 You’re actually more likely to kill your seedlings by over watering. When it comes to growing on the seedlings I use John Innes number 1, again with a decent amount of vermiculite. You don’t have to be too precise, something like 70% compost to 30% vermiculite works ok. Like a lot of things in gardening it’s what works best for you. My Compost is a 50/50 mix of John Innes Number 1 and Vermiculite. 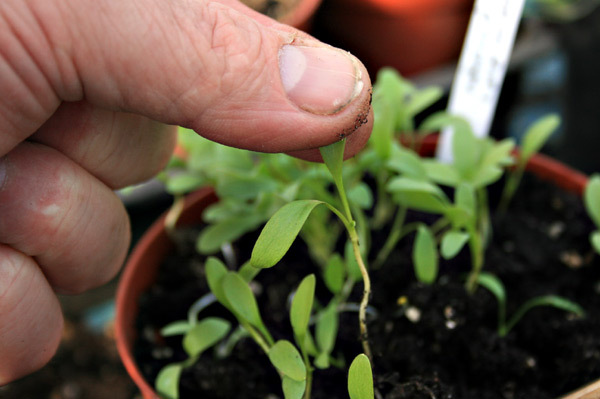 It’s really easy, but you’re going to need something to lever the seedlings out of the pot and a pot to put them in. I use an old fork, a 3″ plant pot and old pencil or dibber. 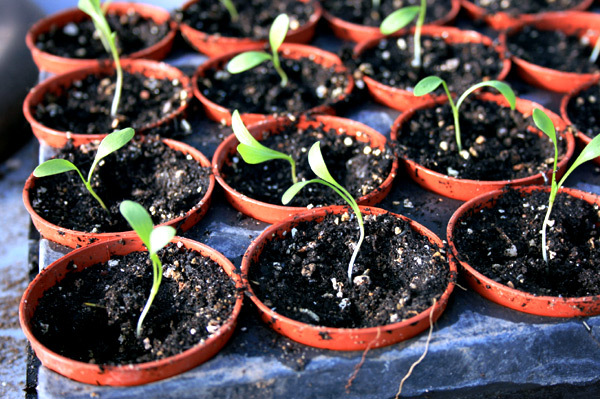 It’s a good idea to have your pots filled ready so you can minimise the time the seedlings are out of the soil. When they are so small they can easily wilt so my advice is to have everything ready to go. When you’re ready fill a 3″ pot with compost and dib a hole ready for the seedling, then take hold it by a leaf and gently remove from the compost, then drop the seedling into the hole, carefully firming it in as you go. I’ve quite a few to do, but it’s not the worst job in the garden and in just a few weeks they’ll have grown into decent plants ready for planting in the beds. Not all the seeds have come through yet, some of the smaller ones like the nicotiana and anthuriums are taking a lot longer to germinate. I’ll keep an eye on the watering, and cover them with fleece if frost is forecast. Other than that I’ll leave them to pretty much get on with it and continue getting excited about what’s to come! A few recommendations for anyone new to cut flower gardening. Firstly thanks to everyone for your emails, it’s great to hear all about your garden stories and I promise I will respond to every one personally. Well, it’s at this time of the year the sweet peas are at their finest. Whenever I need a lift I just wander down to the cut flower bed and breathe in the most amazing scent as the sweet peas perfume wafts up my nose. Just the most heavenly scent in the world, and all from a single packet of seeds. I always think there is something quintessentially English about the Sweet Pea. I grow my sweet peas in my garden using both the cordon method, so I have some for flower vases in the houses, and I also grow a few over the trellis near the house, so friends and family can enjoy them when we get the barbecue out. I started the seeds off in January on my window sill, then I pricked them out into 3 1/2 inch pots when they were large enough to handle, ready for planting out in the flower beds in April. When it comes to planting out I keep a few spare plants back, just in case of any non starters. 2. 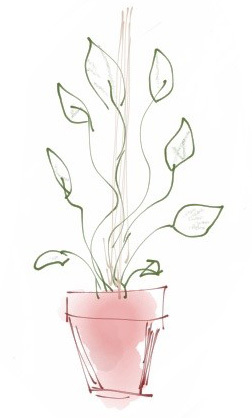 Removing unnecessary growth so the plants can focus all its energy on producing flowers. 3. Regular watering, which can be reduced if you mulch after watering. Everyone has their own method for growing sweet peas, but I’ve used the same method for years, and my dad before me. I prepare a shallow trench, or large planting hole and back fill with a good mix of compost, well rotted manure and top soil. 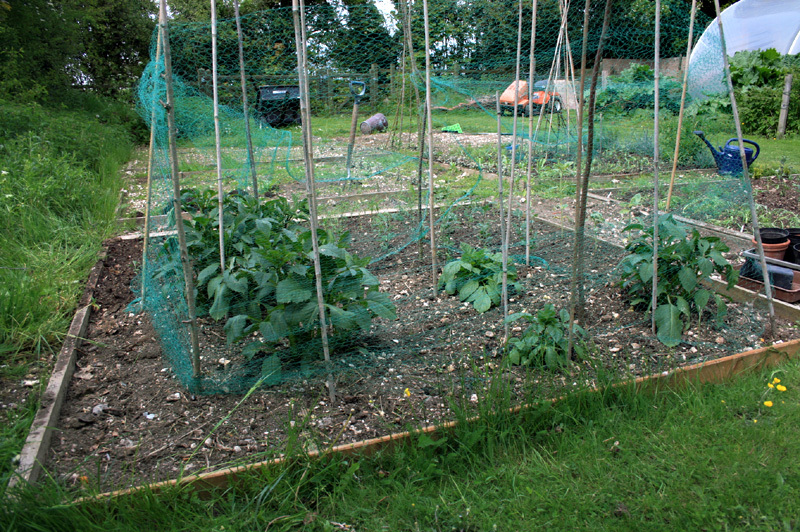 Like most cut flower plants, try to get the plants off to a good start by protecting the young plants from the birds with a little netting, at least until they get established. Then, when they are about 4 inches tall pinch out the very tip of the growing point in order to encourage the plant to throw out side shoots. It’s entirely up to you, but I restrict these side shoots to a maximum of 3, which I let grow on and up the canes. I then tie these into the canes and remove any additional side shoots as they appear, along with the tentacles that grow at the end of the branches. Sounds wasteful, but I also pinch out the first few flowers to give the plants a chance to build a strong root system, and a firm structure ready for all the hard work ahead. Not sure if has any effect, but it seems to work. 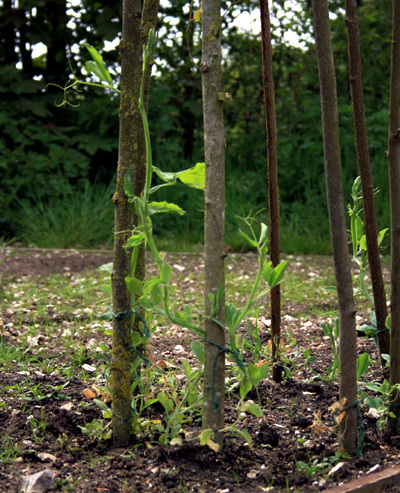 After that all I do is keep them watered (Sweet Peas hate dry soil ) and occasionally give them a feed with tomato feed. Oh and another great tip I was once given is, keep cutting the flowers, as the more you cut, the more they grow! What a plant, and it’s most definitely in my top 5 most favorite flowers. 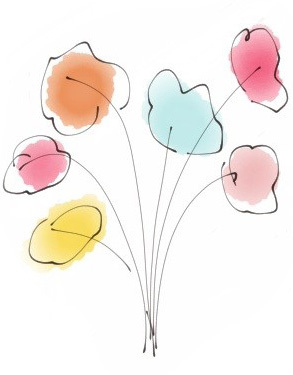 If you have any gardening story’s you’d like to share, please do feel free to drop me a note to tania@greenlane.eclipse.co.uk as I look forward to hearing from all the other keen gardeners around the globe.